On Wednesday morning, Copenhagen police confirmed that a torso found by a cyclist was a DNA match for the missing journalist Kim Wall. Wall had been missing since August 10th and was last seen on board the DIY submarine built by eccentric inventor Peter Madsen. Earlier this week, Madsen admitted to police that Wall had died in an “accident” on his submarine before it sank. 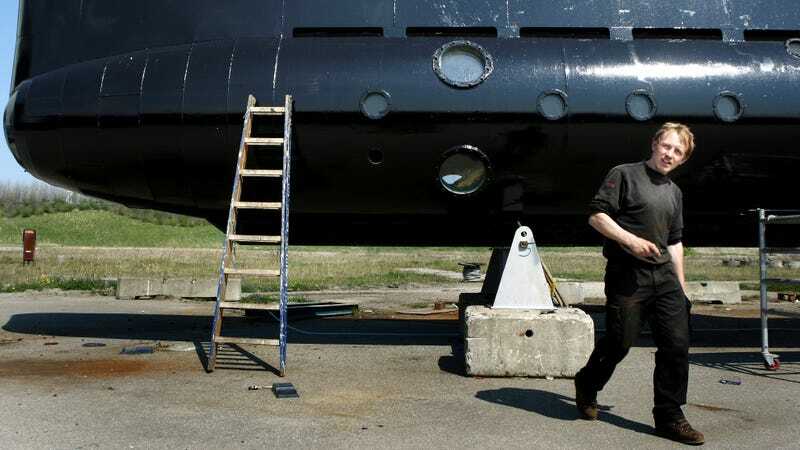 The story of Madsen and his sunken sub has gripped the public’s attention in Denmark ever since the inventor emerged to safety on August 11th. At first, Madsen claimed that he’d dropped Wall off on the shore of Copenhagen Bay the previous evening. He told reporters that he was alone when a malfunction caused the vessel to sink. Events took a dark turn when police announced that they were charging Madsen with “killing” the 30-year-old journalist. A torso washed up to shore on Monday, and today, police said that the torso was attached to a piece of metal that they believe was used to weigh it down. Authorities were able to use DNA from Wall’s toothbrush and hairbrush to match with blood found in the recovered submarine and the torso. Madsen claims that following the alleged accident, he buried Wall’s body at sea. No definitive timeline of events or details of the accident have been released to the public. Following his rescue, Madsen told TV2 that he’d experienced “a minor problem with a ballast tank [that] turned into a major issue,” and that “it took about 30 seconds for Nautilus to sink.” He said that he frantically escaped the submarine and was unable to close any of the hatches. But according to The Washington Post, a witness claims “that he saw Madsen emerge from the belly of the vessel and stay in the submarine’s tower until water began pouring into it.” Police believe that the vessel was sunk deliberately. Madsen has denied the preliminary manslaughter charge and a judge has ordered that he remain in jail for 24 days while the investigation continues. If convicted, he faces “a range of penalties from 5 years of imprisonment until life imprisonment,” according to local police. She has found and told stories from different parts of the globe, stories that must be written. Kim traveled for several months in the south pacific to let the world know what is happening to the population on the islands that sink as a result of atomsprängningar. She allowed us to come to the earthquake Haiti, to the torture chamber of idi amin in Uganda and the minefield in Sri Lanka. She gave voice to the weak, vulnerable and marginalised people. Madsen achieved a small level of international notoriety over the last decade through his work with the Copenhagen Suborbitals collective that he co-founded. The group of around 55 volunteers supported itself through crowdfunding and has primarily focused on launching a DIY one-man rocket into suborbital space. The UC3 Nautilus was a seperate project that was spearheaded by Madsen and was built with the help of the collective. The inventor formed the UC3 Nautilus Submarine Association to manage the submarine after he had a falling out with Copenhagen Suborbitals. But the association was short-lived and feuded with Madsen, who subsequently took full ownership of the sub. After years of being docked for repairs and upgrades, the Nautilus relaunched in April of 2017. Wall was reportedly working on a long form story about Madsen and his missions.